Some adjectives that can be used to describe Hispanic food (apart from “delicious”) are hot and spicy. Although these are staples of Hispanic food, hot and spicy may not seem as appealing on a sweltering hot summer day. But there are many Hispanic recipes that capture the delicious Since El Paso and the Southwest are experiencing one of the hottest summers in history, it’s necessary to find Hispanic food products that can produce dishes that are both delicious and refreshing. Productos Real provides wholesale Hispanic food products to individuals and businesses in the El Paso area. Below are a few of our favorite summertime recipes. When it comes to Hispanic food, tacos are easily the most famous of the bunch. Tacos de barbacoa, for instance, are incredibly delicious and can be refreshing as well. All you have to do is use the right ingredients. With cilantro, some lime, and a hint of salsa, your tacos de barbacoa will become a truly memorable dish. 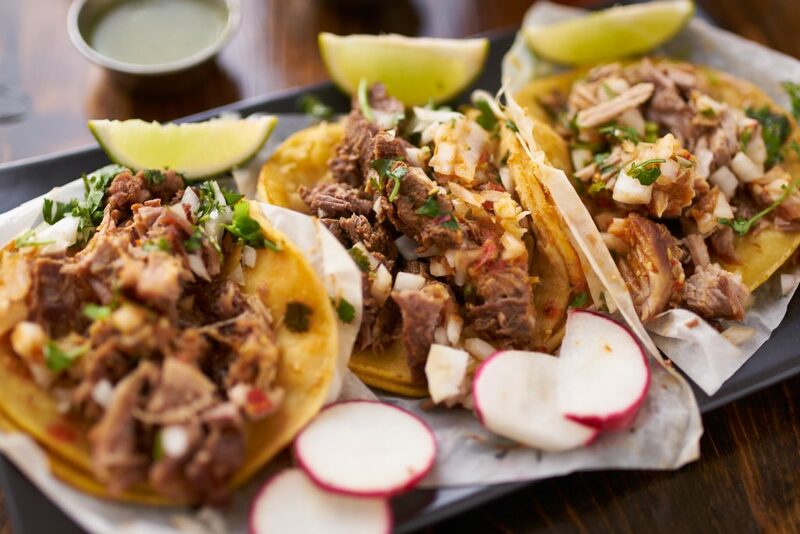 Other options, such as tacos al pastor or tacos de buche may have a bit more heat to them but they can still be a great option for your Hispanic menu. Now all you need is a big glass of horchata or agua de melon to fully quench your summertime hunger. Tortas are another refreshing option this summer. In fact, most tortas are known for being “cold,” meaning the ingredients used are fresh. Ingredients such as colitas de pavo, guacamole, salsa, lettuce, and tomato make this tasty treat a filling choice. Make sure to use pan de blanco from your trusty neighborhood bakery. A torta isn’t really a torta if the bread isn’t right, after all. When it comes to tortas, Tortas a la Milanesa are possibly the most popular choice. The main ingredient is a flour-dipped beef cutlet that is cooked to perfection. Once the cutlet is ready, add lettuce, tomato, guacamole, and mayonnaise to your liking. Don’t let the scorching summer heat stop you from enjoying delicious Hispanic food. Productos Real provides the right ingredients to turn your next summer cookout into a memorable and delicious experience. No matter what you require, Productos Real can provide it. As far as Hispanic food products go, your options are limitless! Contact us today to learn more about what we have to offer.